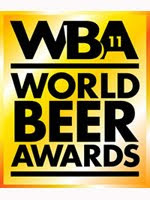 The announcement of the winners for the World Beer Awards 2011, the global awards selecting the very best internationally recognised beer styles from around the world. Judging is blind with regional style heats held in Europe, the USA and Asia under the careful eye of a regional Chairman. They select the style winner in each region, which is then tasted against the other regional winners to select the World’ss Best Style. From these world winners judges can then select the World’s Best Ale, Lager, Stout & Porter and Wheat Beer. The pages of this year’s World Beer Awards guide identify winners by style and by category, we hope you enjoy this year’s findings and the fantastic range of beers they represent. Enjoy exploring this incredible selection of outstanding beers.